Miss Ella has had a rough go of it this week. Her pregnancy has entered the 'morning sickness' stage and Christmas in Blanding was just not as fun as it could have been. Ella did get a bone for Christmas which she chewed all morning long, while everyone else opened their presents. We are hoping she will get through this stage soon and be back to her royal self. It looks like towards the end of January for her baby shorkies to make their arrival. Here is a picture of her with the Miss Orem group. She has her own tiara because she is a princess of course! 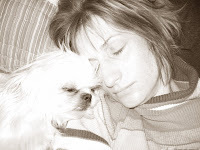 Ella and Kim sleeping and getting ready for Christmas. 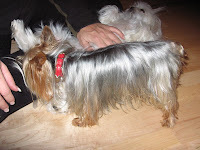 Here is Yoda the yorkie we used to breed Ella with. This adventure began on a rainy day back in January 2006. My friend Kim decided she wanted to have a puppy. So we were going around visiting different pet owners and Kim just wasn't finding the right little princess for her. I told her not to worry, pets have a way of picking you. We ended up in Roy to look at a Pekinese. Well this dog wasn't right either, but they had several breeds of puppies so we went in to take a look. 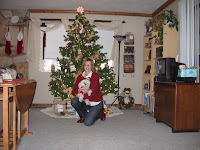 Kim fell in love with the little Shih Tzu puppies. They really are the cutest little babies! She really wanted one that was white and there was a male that was about 6 months that caught her eye. Unfortunately, the owner was keeping this one to breed. As we turned around, Miss Ella let her presence be known! She promptly knocked over her water dish, and the owner let her out of her cage to clean up. Well as soon as she was placed in Kim's arms it was a done deal. The next question... Miss Ella or the laptop she needed for college. Of course its going to be Miss Ella! She really was such a cuddly little princess and so happy to be going home with Kim. We stopped by my house in route to get some puppy supplies until Kim and Miss Ella were settled in. 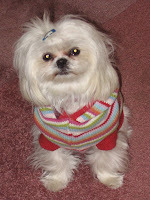 During this process, we both decided that we would love to get involved in breeding Shih Tzu's. 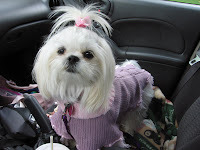 We quickly scoured the Internet to learn all about Shih Tzu's and what would be involved with breeding. Luckily a good friend of mine Kelly, breeds her 2 1/2 Yorkie, Yoda, with Shih tzu's to make the cutest little designer breed called Shorkies. Kim and I have peppered her consistently with all of our questions and concerns. She has been a great resource, especially since she has been doing this for years! Towards the end of November Ella was showing all the signs that she was about to go into heat. Kim contacted Kelly to let her know when Miss Ella would be coming to visit. She spent several days with Yoda, and now we are waiting to see if it took. Updates to come!